Triangle Tire USA is part of Triangle Tyre Co. Ltd., a global company that manufactures more than 25 million tires annually in 5,200 different SKUs (tread patterns and sizes). Triangle tire products are now sold in more than 180 countries around the world. 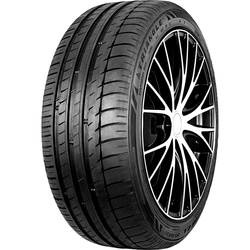 All Triangle tires are innovative, high-quality products due to the company’s unrelenting commitment to research and development, as well as utilization of highly advanced, cutting edge, manufacturing technologies. The Triangle Tyre company boasts more than 360 patents, with research centers in Weihai (China), Akron, OH, and Germany. The Triangle Tire Technical Center in Akron was established in 2011 and works closely with Triangle Tire USA to develop relevant tread patterns, tire construction and custom polymer compounds designed specifically for American applications.